In spite of his success as a traveling minister, he longed to build a local church where youth and children's ministries would be showcased. Since 1987, Church on the Move in Tulsa, OK has been a leader in effective ministry for children and teenagers, with outreaches like Dry Gulch USA and Oneighty. Today, the effectiveness of his vision is revealed in the amazing second-generation leadership team at Church on the Move. 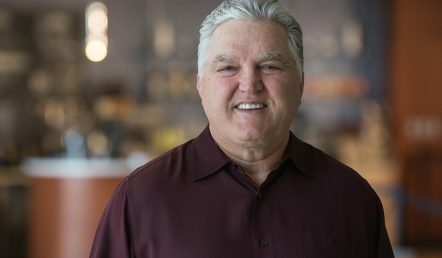 The same communicative skills that marked Willie George as a children's minister have positioned him as the Founding Pastor of one of America's most innovative churches. Willie and Deleva George have four children and ten grandchildren. A Kentucky native, Greg felt the call to ministry at 17 years old. 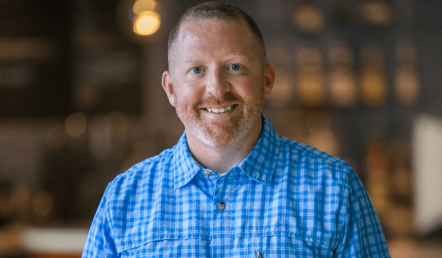 He began volunteering in his home church and, in 1989, became the Youth and Children’s Pastor, eventually serving as the Associate Pastor there. 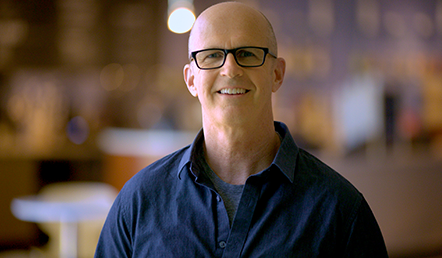 Greg moved to Tulsa in 2003 to join the pastoral team of Church on the Move and is now the Executive Pastor of Campuses. Greg and his wife Polly have three children, one daughter-in-law, and two grandchildren. Greg loves the New York Yankees and is a devout follower of Kentucky basketball. Brian joined the Church on the Move family in 2001. With a degree in civil engineering from the University of Oklahoma, he spent the first 20 years of his career in the oil and gas industry but found his true purpose in ministry. In addition to his active involvement in volunteering and Small Groups, Brian took his love for discipleship even further and helped launch a nonprofit small group ministry, Mountain Men, to help men become the husbands, fathers, and leaders God has called them to be. 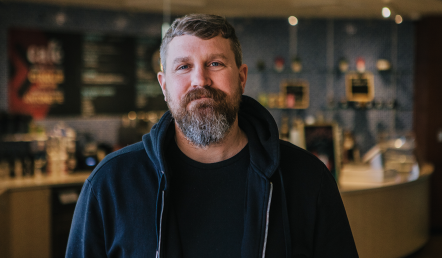 Outside of his family, Brian loves to pour his gifts and experience into helping people find relationship with Jesus and their God-given purpose. Brian and his wife Jamie have three children. They are a family of OU Sooner fans and love going to games as much as possible. A Tulsa native, Lee went straight into ministry after college and served as the Lead Pastor of a church in Omaha, NE for five years. After a season of re-discovering the incredible grace of Jesus, Lee co-founded a non-profit ministry called Mountain Men. It exists to help men become better husbands, fathers, and followers of Jesus, and it combines two of Lee’s greatest passions—helping people find life in Jesus and mountain climbing! Lee began serving at Church on the Move in April of 2017 as the Small Groups Pastor and is now our Executive Pastor of Discipleship. Lee and his wife, Shannon, have two boys, Ethan and Isaac. They love traveling to the mountains and the beach together. Lee is a die-hard Denver Broncos fan, enjoys playing and coaching soccer, and is a mountain clothing and gear junkie! Angie’s family moved to Tulsa in 1989 to be a part of the creative ministry of Willie George Ministries. After growing up at Church on the Move, she joined the staff in 2000 and has served in various creative rolls ever since. 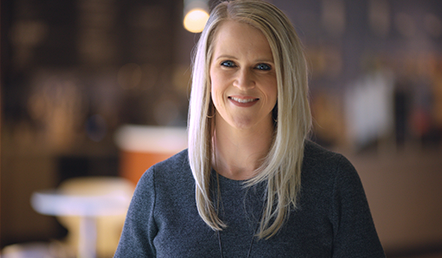 Today, Angie is passionate about leading and building a community of artists who use their gifts to glorify God and open people up to meet the real Jesus. Angie’s passion to build the church and the family of God is strengthened by the love and commitment she has for her own family. Angie, her husband Sam, and their two little women Amelia and Ruby love to go to the beach and visit Disney every chance they get. Sam grew up in Destin, FL and moved to Tulsa to attend Oral Roberts University, where he earned a degree in Youth Ministry in 1996. 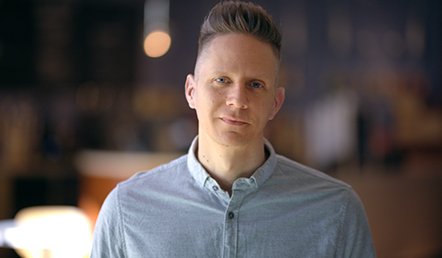 During his time at ORU, he began serving at Oneighty and served faithfully for eight years before coming on staff as the Oneighty Jhi Pastor. Sam has now been on staff for ten years now and has served in a variety of roles along the way. 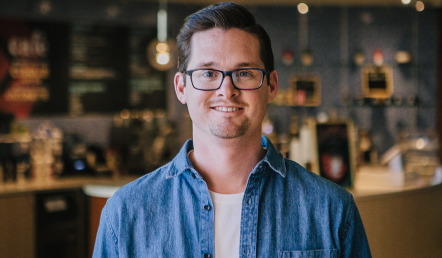 He is passionate about communicating God’s Word, building leaders, and creating environments where kids and students are introduced to the real Jesus. Sam and his wife Angie are the parents of two amazing girls, Amelia and Ruby. He loves his girls, family vacations to Disney, and shoes. A native of Waco, Texas, Andy felt called as a teenager to be a worship pastor but instead hit the road at 20 years old as a touring artist. In 2001, he moved to Orlando, Florida, to help a friend pioneer a new church. Andy and his family then moved from Orlando to Tulsa in 2005, and he's been leading Church on the Move in worship ever since. 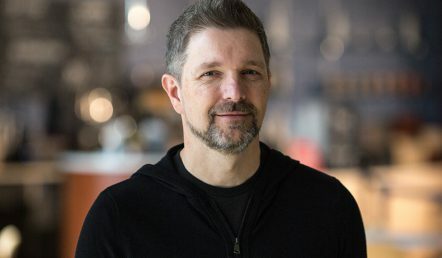 With 30 years in Christian music under his belt--most notably with his group 4HIM--he finds his greatest joy making music and raising up the next generation of worship leaders for Church on the Move. Andy and his wife Jackie have two children and two grandchildren. When not on stage, Andy is probably teeing off on the golf course. He's also a huge fan of the Dallas Mavericks and loves traveling and going to concerts. A South Carolina native, Dean met his wife, Jennifer, in 1987 at Dry Gulch, USA where they both served as summer camp counselors. After marrying and returning home for two years to serve as Children’s and Youth Directors in their home church, Dean and Jennifer moved back to Tulsa to help Pastor George in the television department. They worked with projects like The Cimarron Trail, Fire By Night, The Ministry of Excellence, and the Kids on the Move video curriculum. Dean and Jennifer have served at Church on the Move for 27 years and have three awesome sons and one amazing daughter-in-law: Parker, Clay, and Ben and Emily. They are all avid Clemson fans! In 2009, he started the NEXT Internship Program where he grew as a musician and worship leader. 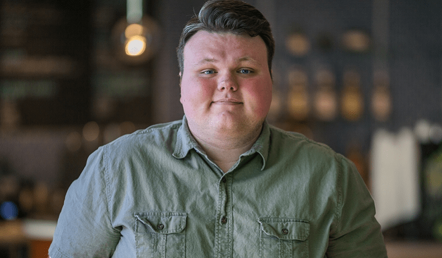 In 2011, he was hired on as a full-time worship leader and became the Central Campus Worship Pastor in 2016, where he helps create an authentic worship experience each weekend. In January 2015, he married Courtney Weston. Gabriel is deeply passionate about seeing people reach their maximum potential through a real and personal relationship with Jesus. He has devoted his life to loving God and loving people by helping them find hope, answers, and life in Jesus Christ. As our Senior South Campus Pastor, Gabe helps carry forward the vision of introducing people to the real Jesus in South Tulsa. Together, Gabriel and his wife Sommer have two beautiful children—a daughter named Jane and a son Charles. Their family loves a party and to gather friends and family to their home for good food and meaningful conversation. Their favorite pastimes are spending a day at the beach, the Gathering Place, exploring new cities, family trips to Disneyland/world, and watching episodes of Shark Tank and Survivor. But most of all, you’ll find that Gabriel and his family love people and bringing out the best in people by introducing them to the real Jesus! Jason graduated from Lincoln Christian School in 2005. He spent several years in the military doing explosive ordinance disposal, but his passion has always been ministry. He moved back to Tulsa where he worked in telecommunications and got plugged back into Church on the Move. 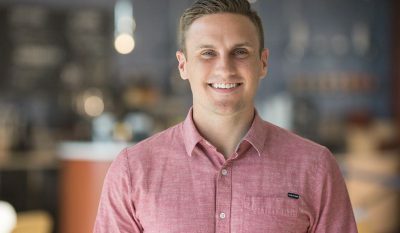 In addition to being actively involved in Small Groups and the Baptism Team, he attended Oklahoma Wesleyan University to study business and ministry. 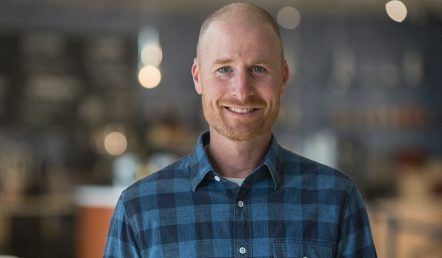 Jason took the step into full-time ministry by taking on the role of the Central Campus Coordinator at the beginning of 2017 and now serves as the South Campus Pastor. Jason married his wife Bethany in 2010, and they have three children: Wyatt, Annabelle, and Brooklyn. Ian began attending Church on the Move with his family not long after he graduated from high school. At the time, he was pursuing a career as an ice hockey player. However, after being a part of COTM for a few years, he began to sense God leading him in a new direction. So in 2012, he began an internship with Church on the Move. 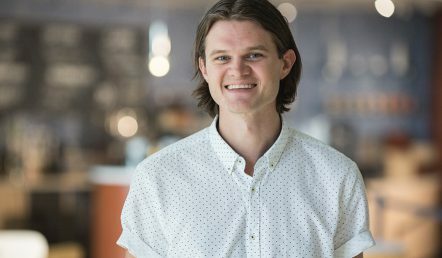 As the Campus Pastor for Oneighty, Ian is fulfilling his passion of helping other people connect to Jesus, all through the same church God used to impact and change his life. Ian married his wife Jess in 2014. They enjoy reading, working out, cheering on the OKC Thunder (primarily in the playoffs), and the occasional late night run to Andy’s Frozen Custard. Chris' family started attending Church on the Move when he was just four-years-old. He grew up at the church and attended Lincoln Christian School. After graduating from Baylor University in 2015, Chris felt called to begin working at Church on the Move. 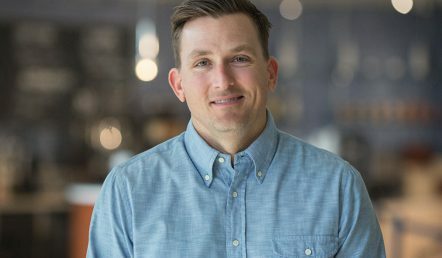 Before serving as our Broken Arrow Campus Pastor, Chris served at Lincoln Christian School for two years and then served as our Central Campus Next Steps Pastor. Chris and his wife, Brittney, have one daughter, Ella. They are passionate about introducing families in Broken Arrow to the real Jesus, and are huge Patriots fans. Ethan was born and raised in Oklahoma in a family full of worship leaders. He started playing on worship teams at the age of ten and began leading worship in high school. 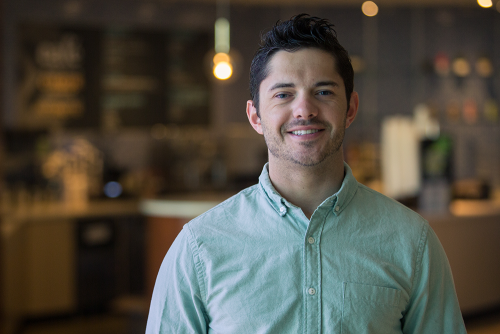 After graduating in 2012, Ethan moved to Tulsa to be a part of our NEXT Internship Program. In 2014, he was hired on full-time as a Music Director and Producer. 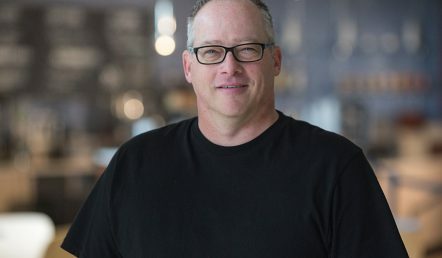 He served in that position until the Spring of 2018, when he became the Broken Arrow Campus Worship Pastor. Ethan and his wife Jaymee met when they were just eight-years-old and grew up leading worship together. Besides leading worship together on the weekends, they enjoy coffee dates, playing Mario Kart, and feeding the squirrels at the park.